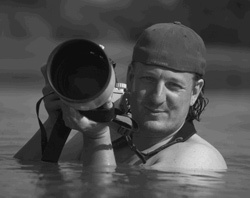 Welcome to www.bwmphoto.com, the website of award winning wildlife photographer Brian W Matthews. Brian has travelled to over 50 countries and been photographing wildlife since 2001. His work has featured in magazines, newspapers and websites all over the world. From Komodo Dragons to Puffins, Brian spends days in the field trying to get the perfect shot. Enjoy the images and adventures www.bwmphoto.com has to offer.